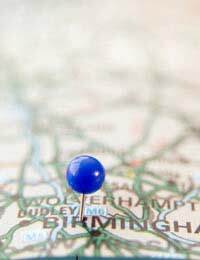 The Midlands is fast becoming one of England’s most rapidly expanding housing districts. A mixture of urban and rural settings in the Midlands means the government needs to meet a diverse range of housing needs.The East Midlands mainly comprises of counties such as Derbyshire, Lincolnshire, Leicestershire and Northamptonshire. This area is largely comprised of rural land including the Peak District National Park but also includes cities such as Milton Keynes. Like the North of England, the Midlands has relied heavily on industries such as coal and mining in the past, so the government needs to regenerate not just the housing markets in these areas but also the local community. One of the biggest housing projects in the UK is taking place in Milton Keynes South Midlands which is known as the MKSM growth project. The MKSM project covers the areas of Bedford and Mid Bedfordshire, Luton and South Bedfordshire as well as Milton Keynes, Aylesbury Vale, North Northamptonshire and West Northamptonshire. The government plans to create a total of 224,400 new houses in total for these areas by 2021, along with this it also plans to create over 190,000 new jobs. North Northamptonshire will benefit the most from these plans with the development of 52,100 new homes, while there are further plans to create affordable housing in Lincoln, Grantham , Newark and Gainsborough. There are also a number of housing initiatives underway in the West Midlands. There is a concerted effort in the Midlands to regenerate Brownfield areas which are abandoned or run-down old industrial or commercial sites. While there are a number of these sites available in the Midlands the government and developers need to take into consideration environmental issues and any development on the site will also need to be comply with safety regulations. Some of the initiatives currently underway in the West Midlands includes the Pride scheme which plan to create 1,800 new homes at Camp Hill, Nuneaton by regenerating a former colliery site. In North Solihull the government is also planning to create 8,000 new homes along with a number of primary schools while improving the social conditions for those living in the area. Other schemes include the Ironstone scheme in Lawley, Telford. The scheme is looking to create 3,300 homes with an emphasis placed on improving the conditions of people in the community. The Midlands has a great capacity for housing growth and is the main focus of a lot of the government’s housing initiatives.One of the main problems with the Midlands is the diverse range of needs that the government must meet. The Midlands combines rural and urban settings and can pose problems when developers are deciding what kind of housing programmes to embark on. If you are living in the Midlands you will need to contact your local council to ask what schemes are happening in your area and whether you will qualify for a property. Local residents will normally get priority over those that are moving to the area from elsewhere but that does not necessarily mean you will still not qualify. Whether you live in the county or in one of the main cities in the Midlands, there is a high possibility that there will be an affordable housing scheme happening somewhere near you.